My local ATC group met this month, and we were to create with the theme, 'Words of Love'. Made by Harriet on a Tim Holtz cruise. I sponged ink around the edges and applied Stickles- hard to see in the pics. 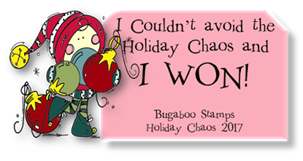 WOW - your ATC is super adorable and what a pile of fun cards that you got in return. I have never done this, but looks like you got with the right group of ladies to do this - very creative!!! You made and git beautiful artwork ! 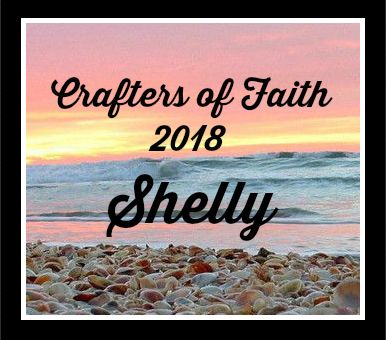 Your work is breathtaking, Shelly. 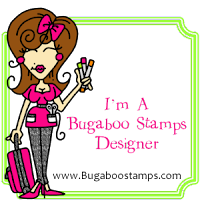 Even the ones without stamping are done up to the nines. You received some beautiful work in return. What a fun thing to do is exchange. I stopped making ATC's and swapping because I misplaced my ATC book with about 100 ATC's in them during on of my three moves in four years and am disheartened. Call me a whiner I guess. 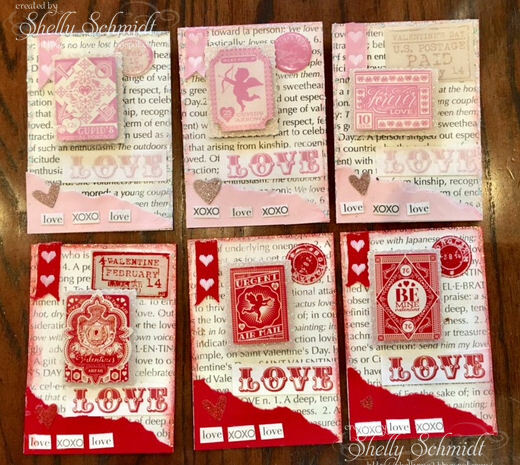 What an awesome array of sensational Valentine ATCs, Shelly! I absolutely love yours and every single one of the others as well!